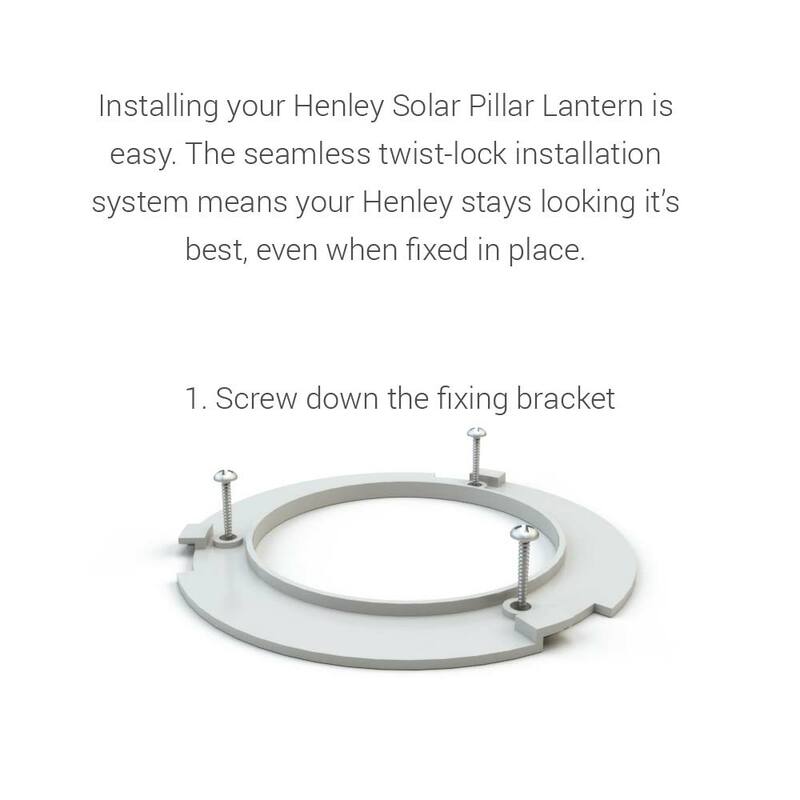 The Henley is a superb looking, powerful pillar lantern that offers exceptional brightness backed up by unrivalled reliability and performance. We bought 4 to light up decking and mark pathways and they have been reliable so far. They look amazing and the light on power saving mode is still bright. We will be purchasing more in the near future. Bought one to test on Veranda and found excellent so bought five more.The effect is most impressive and will buy more after extension complete.Not very bright light but adequate for this location and look great. 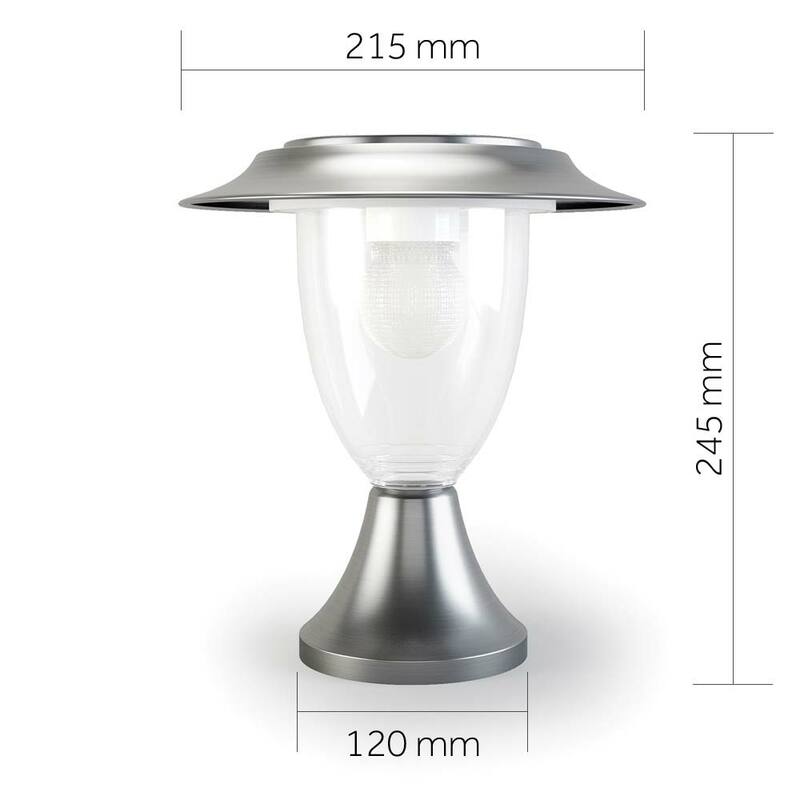 It`s hard to believe that living in Spain, it is very difficult to find solar lights of a good quality and also a nice design. Have had solar security lights from the solar centre before, which proved to be very good and long lasting. After a lot of searching in locally, unable to find what we needed, the only option was to buy from the internet and have them shipped. 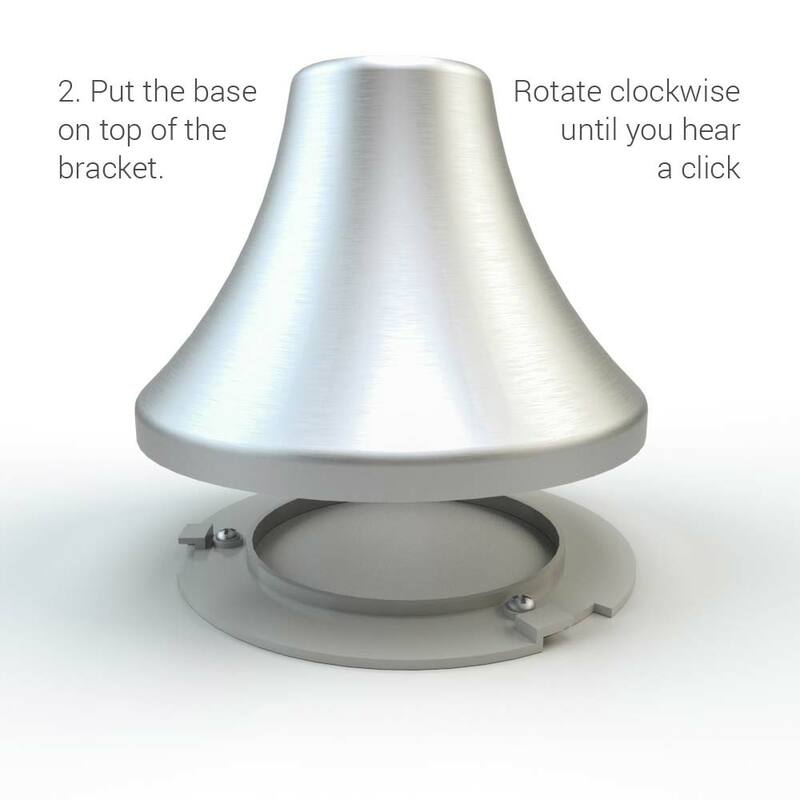 We bought 3 of these lights to put up on pillars surrounding our swimming pool. They were easy to mount, and they were put up at 3pm out of the box, at roughly 7.30pm they came on and were still on at daybreak the following morning Have been so happy with them, that we have ordered another 5. Excellent pillar light, brightens up the entrance to my drive. Highly recommended. The Henley is a superb looking, powerful pillar lantern that offers exceptional brightness backed up by unrivalled reliability and performance. 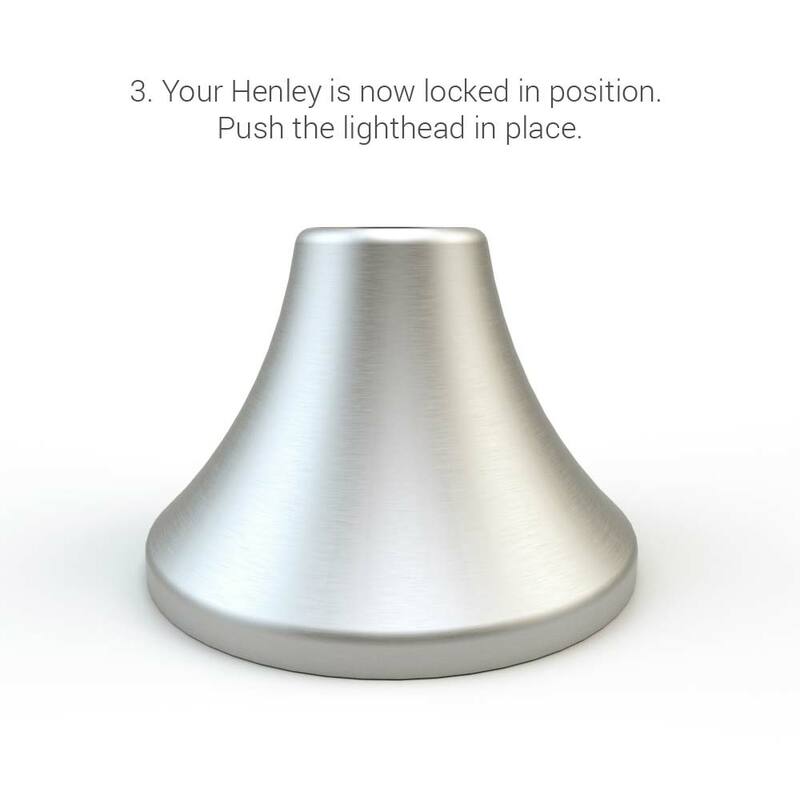 Made from high quality stainless steel and featuring hidden fixings for a seamless installation the Henley is redefining solar lighting expectations. 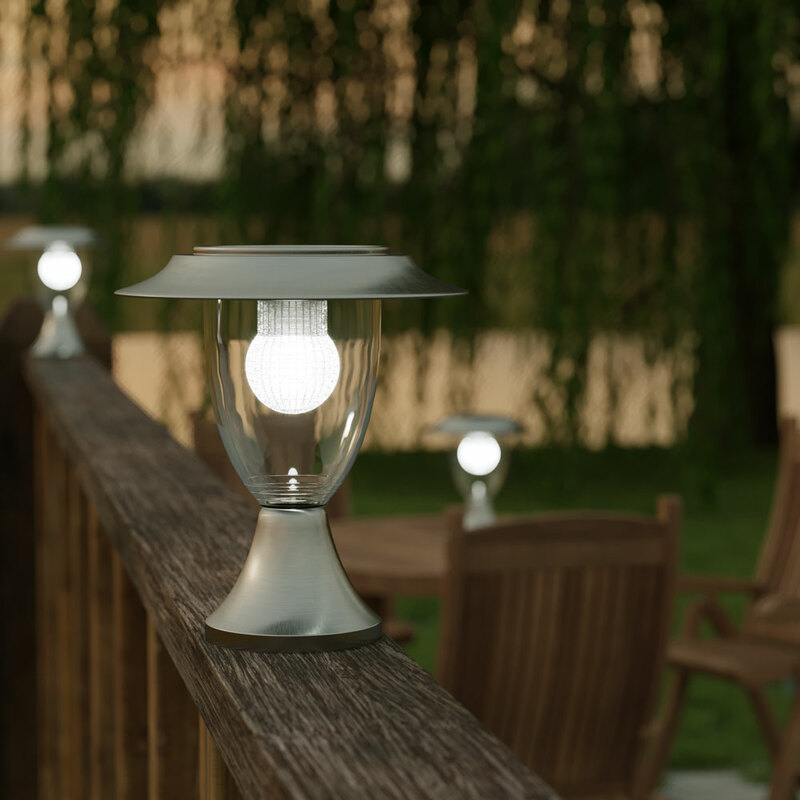 With no mains cable to install and fully automatic operation the Henley is ideal for pillars, decking, patios or anywhere else where mains-free lighting is preferred. Designed for year-round use in the UK, the Henley comes with Powersaving technology as standard which gives users the option to double runtime in return for a slight reduction in brightness. On full mode the lights output 50 lumens and about 30 on power saving mode. What size is the base please. Thsnks. The diameter of the base is 120mm. What is the battery in the Henley and how long can it be changed? The Henley Pillar has 3 x 1.2v NiMH 750mAh batteries. With normal use up to 3 years before the batteries would need changing.